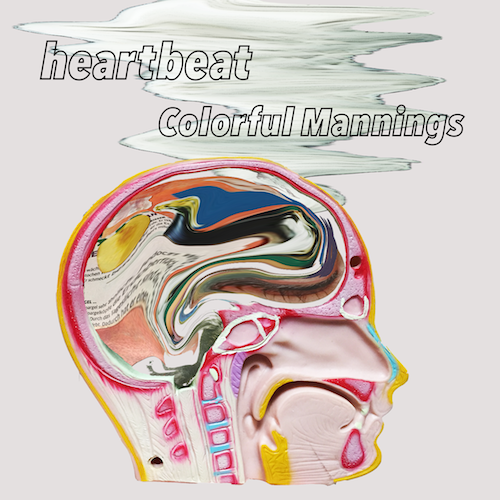 Colorful Mannings will be releasing their new EP “Heartbeat E.P.” on APR 25th. Its sound is influenced by the genres of minimal techno and 80’s styled new wave. The song is produced by KOSEN (vocals / songwriter / multi-instrumentalist), with Ethiopian singer; Sophia Girma is featured in the song as a vocal. As the 2nd track, the band made modular synth-styled remix of title song, called “Heatbeat –Alternative version-“. Artwork is produce by Akina Tokiyoshi who is 16th “1_WALL” GP win artist. Copyright © KOSEN & pointblanc All Rights Reserved.